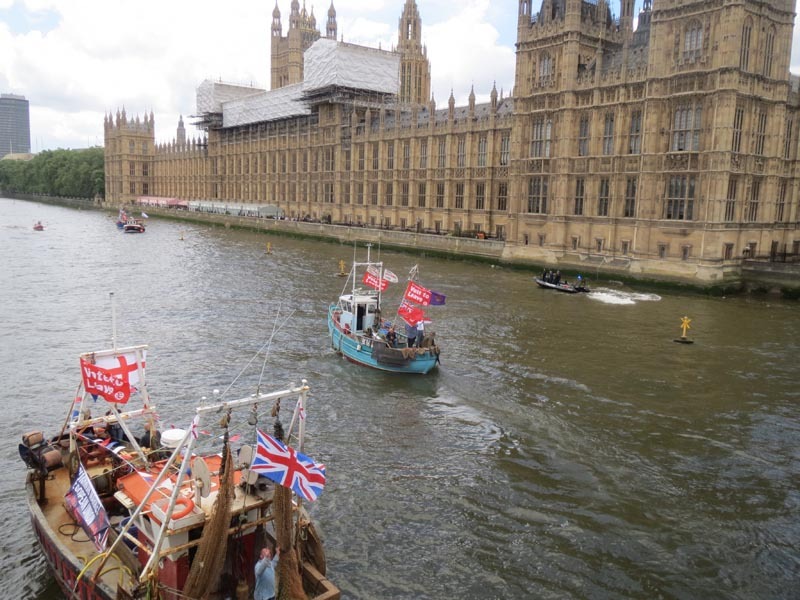 The Brexit flotilla outside Parliament before the June 2016 referendum caught the public’s imagination. Photo Workers. Fishing for Leave are staging mass protests against the proposed Brexit transition agreement in ports nationwide on Sunday 8 April. They are calling on supporters to join them at Newcastle (1000 to 1500), Plymouth (1500 to 1800), Whitstable (1700 to 2200), Milford Haven (1000 to 1300), Portsmouth (1400 to 1600) and Hastings (1600 to 1800).